If you’re looking to upgrade your hatchback to a medium-sized crossover SUV, you have no shortage of options. The Nissan Qashqai is pretty good, the Kia Sportage is excellent and Skoda’s recent Karoq is definitely worth your consideration, to name but three. 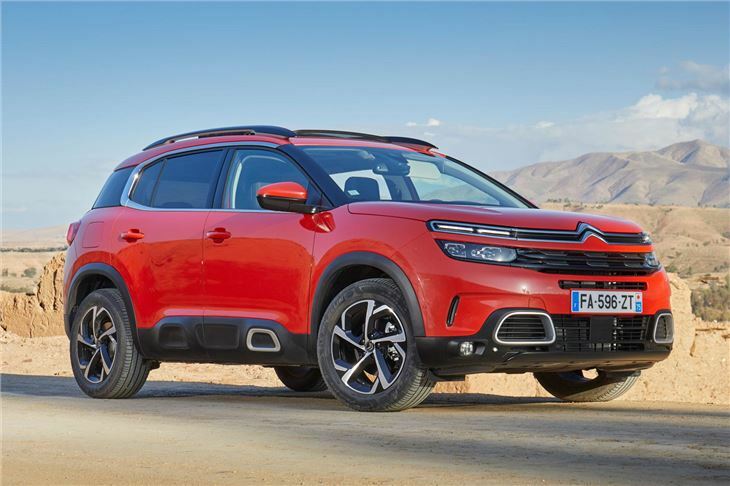 Buyers looking for a bit of French flair are well catered for with the Peugeot 3008, while Renault has the Qashqai-based Kadjar. Until now, however, Citroen has been missing. 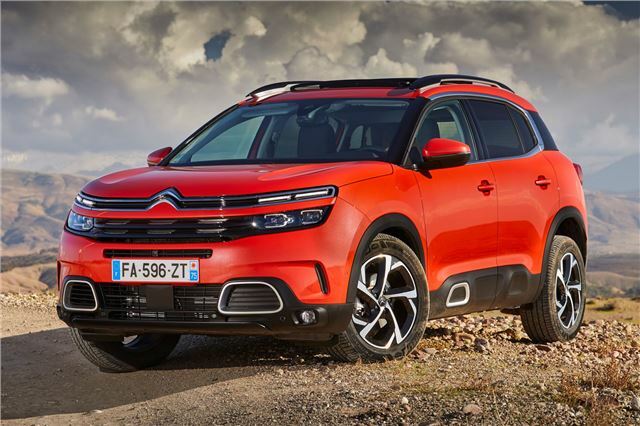 Which is why the Citroen C5 Aircross has finally been added to the range. 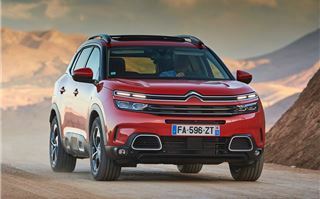 So how is Citroen going to stand out? By trumping all of its rivals for practicality, says the firm. Market research says that, while many people love crossovers, they find it disappointing that they barely boast any more interior space than their equivalent hatchbacks. For families putting practicality first, MPVs often remain the best option. That explains why the C5 Aircross has an impressive 720 litres of boot space with the rear seats left up, increasing to 1630 with them dropped down. And it’s not all about boot space. 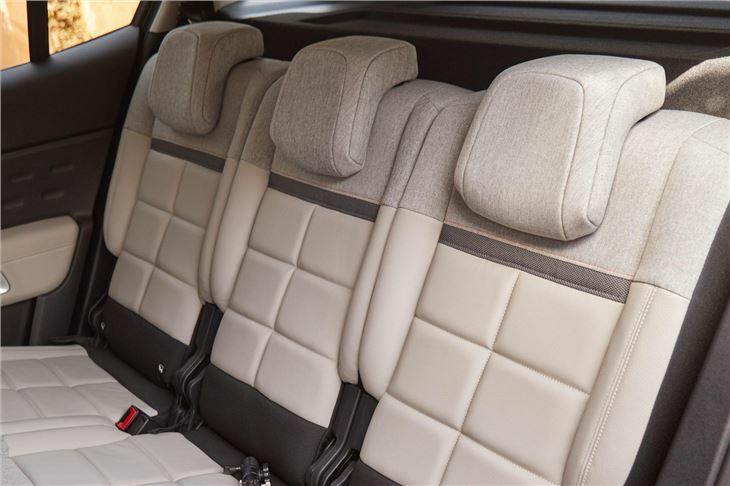 The rear bench splits into three equal seats, meaning that three adults can comfortably fit in the back. 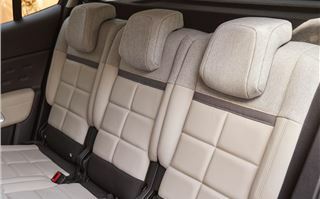 Although only the outer seats have Isofix child car seat mounting points - along with one in the front. 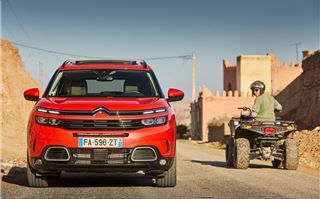 Overall, the C5 Aircross is a successful formula. 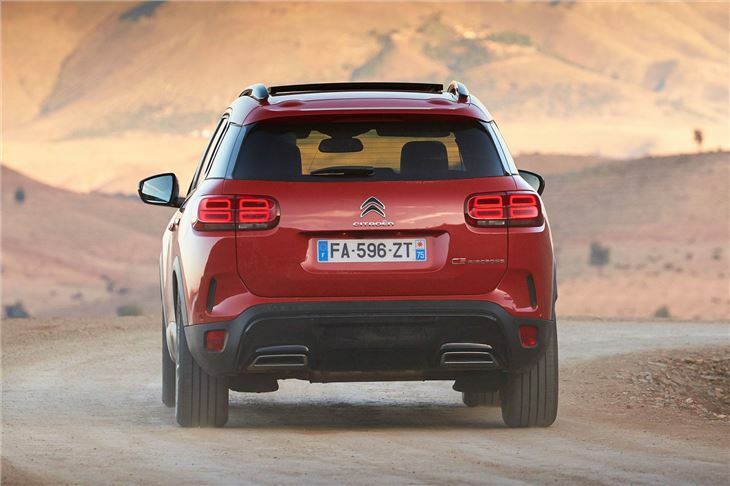 It is a pleasingly spacious SUV (Citroen hates the word ‘crossover’ for reasons we can’t quite fathom), with loads of space in the rear. Sitting in the back of cars like these, you sometimes sense that design has been prioritised ahead of something as trivial as a child’s propensity for travel sickness. Not so in the C5 Aircross, with its big windows and airy feel. Another aspect Citroen has really concentrated on is the C5 Aircross’s suspension. The French manufacturer is currently doing a commendable job of responding to a market that prefers comfort over sportiness. Its fancy suspension with Progressive Hydraulic Cushions (as debuted on the C4 Cactus), provides almost unbeatable ride quality. Buyers can initially choose from a range of petrol and diesel engines, with a plug-in hybrid model due in 2020. The Puretech 180 petrol engine, which we're testing here, is an extremely quiet and refined motor - so much so, it could almost trick you into thinking it's not running, with little in the way of noise making its way into the cabin. Performance is good and even on hilly roads its eight-speed automatic gearbox is rarely caught out. 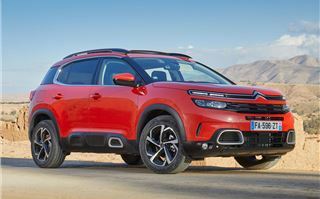 This is all sounding rather positive, so what isn’t the C5 Aircross particularly good at? Well, the steering’s very light and enthusiastic drivers will be better catered for elsewhere. We can forgive it that, though, as it unashamedly majors on comfort. The eight-inch multimedia system isn’t the best and it’s frustrating that you have to close the navigation screen to do something as simple as changing the temperature of the climate control. You’ll get used to that, though, and the addition of Apple CarPlay and Android Auto (standard on all trim levels) means it’s easy to pretty much bypass the car’s own infotainment. With prices starting at £23,225, it’s not cheap though. 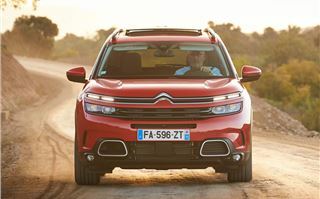 But that’s because Citroen’s not bothering bringing an entry-level model to the UK. Most buyers want a bit more equipment, it says, and when you compare prices like-for-like, they’re pretty reasonable. Especially when you consider that Citroen is pretty generous with its finance offers. Standard equipment across the range includes a host of safety kit and there's even a built-in dashcam on mid-spec Flair models and above. We've used it and it works well, saving footage at the touch of a button. The top-spec Flair Plus features an opening panoramic glass sunroof which does an excellent job of brightening up the cabin. 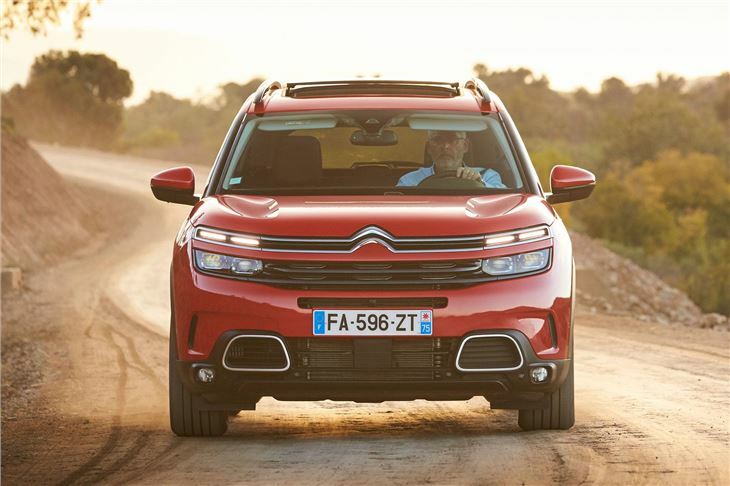 Is the Citroen C5 Aircross going to rock the crossover market? No. But it does things in a pleasingly different manner. Your kids will love it, while you’re telling the world that you don’t mind doing things different. 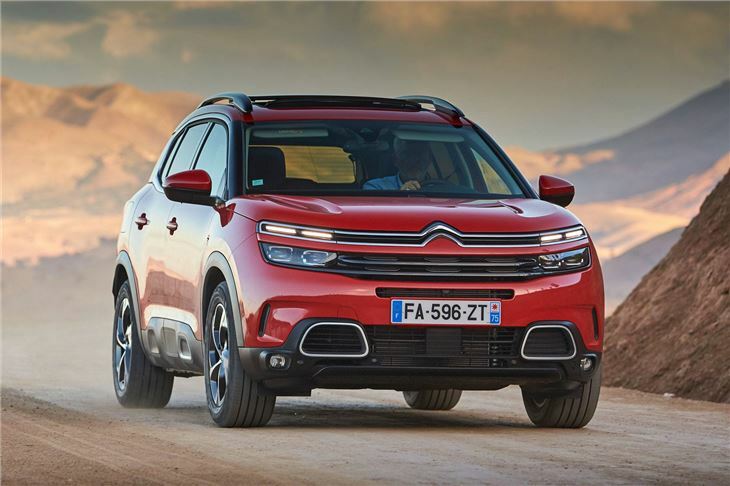 The Citroen C5 Aircross is on sale from December 2018 with UK deliveries expected from February 2019.